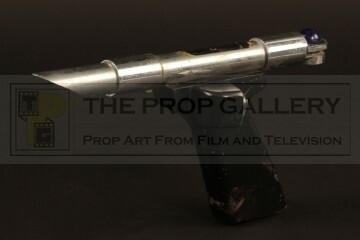 An original prop used in the production of the BBC science fiction television series Blake's 7. 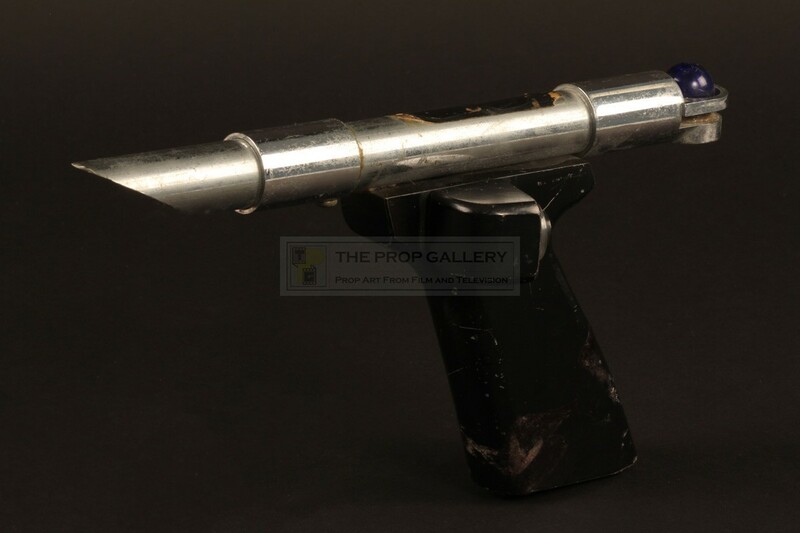 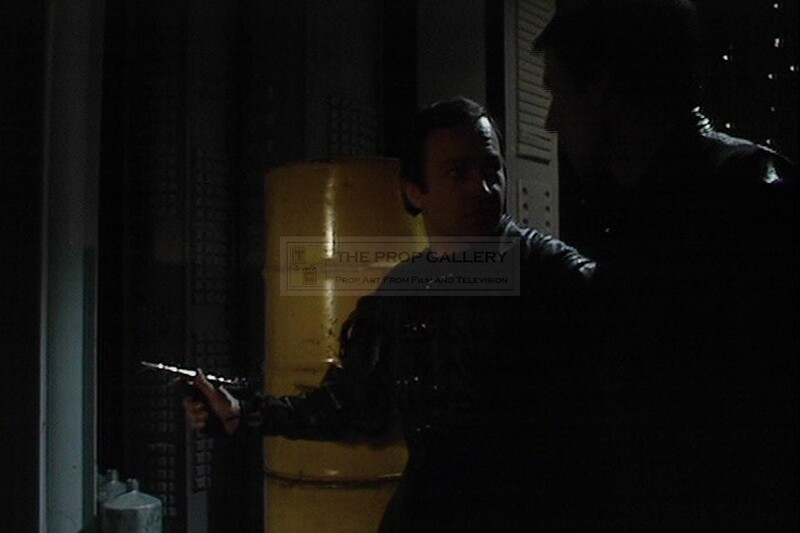 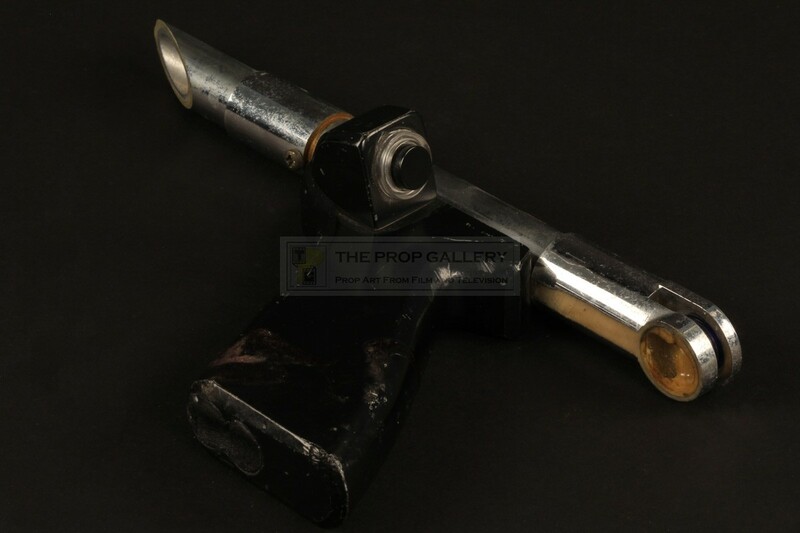 This prop pistol can be seen used by Cevedic (Paul Grist) in the series two episode Gambit, custom made by the BBC Visual Effects Department the pistol is constructed for various materials to include a grip of carved wood and a barrel of chrome effect plastic tubing. 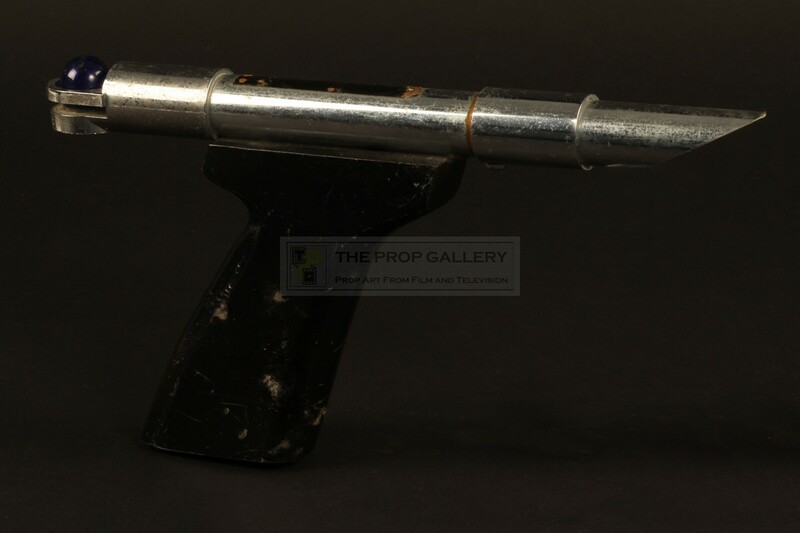 The prop weapon features batteries inserted in to the base of the grip with wiring for a pyrotechnic charge operated by a press button, the wires visible from the muzzle which is reinforced with steel, although built for practical use this feature is not seen on screen where it is simply used as a static prop. 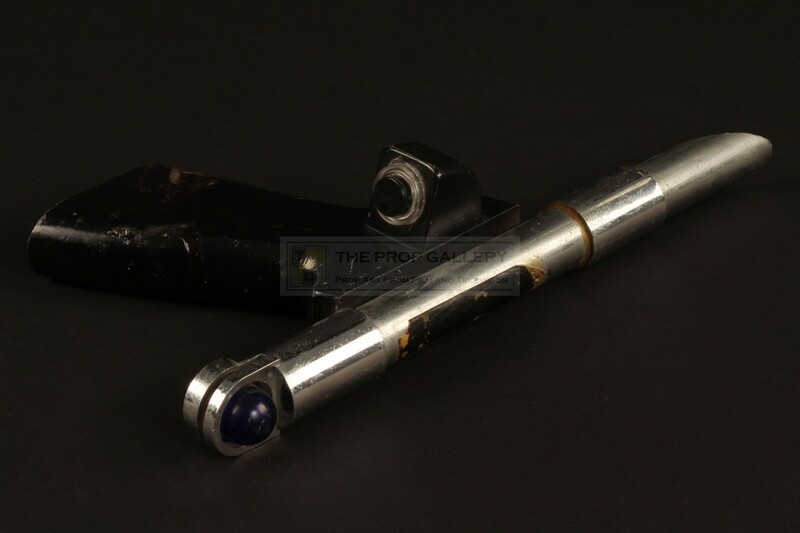 The pistol measures approximately 9.5" in length and remains in excellent production used condition with some age related wear and tarnishing, overall fine. 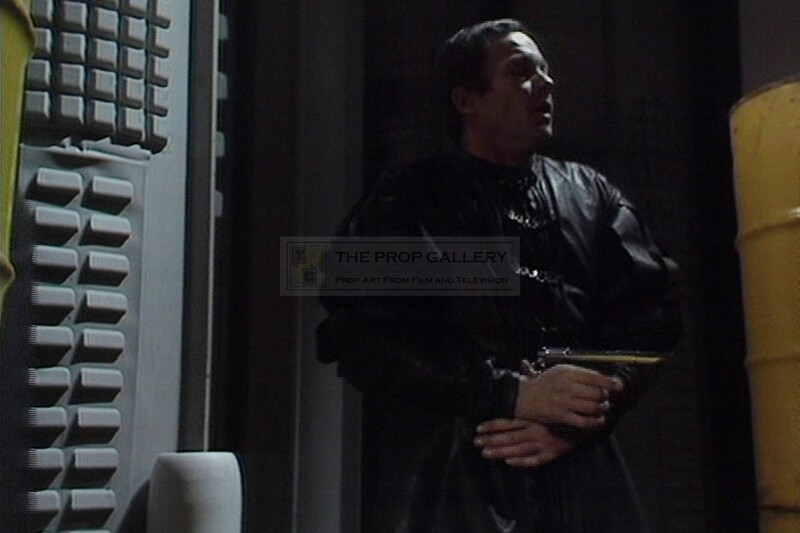 A rare example of an original hand prop and a highly displayable artefact from this cult science fiction series.